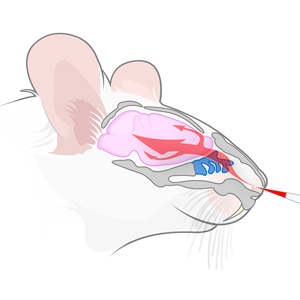 Intranasal administration is a non-invasive approach of delivering therapeutic agents directly to the central nervous system. 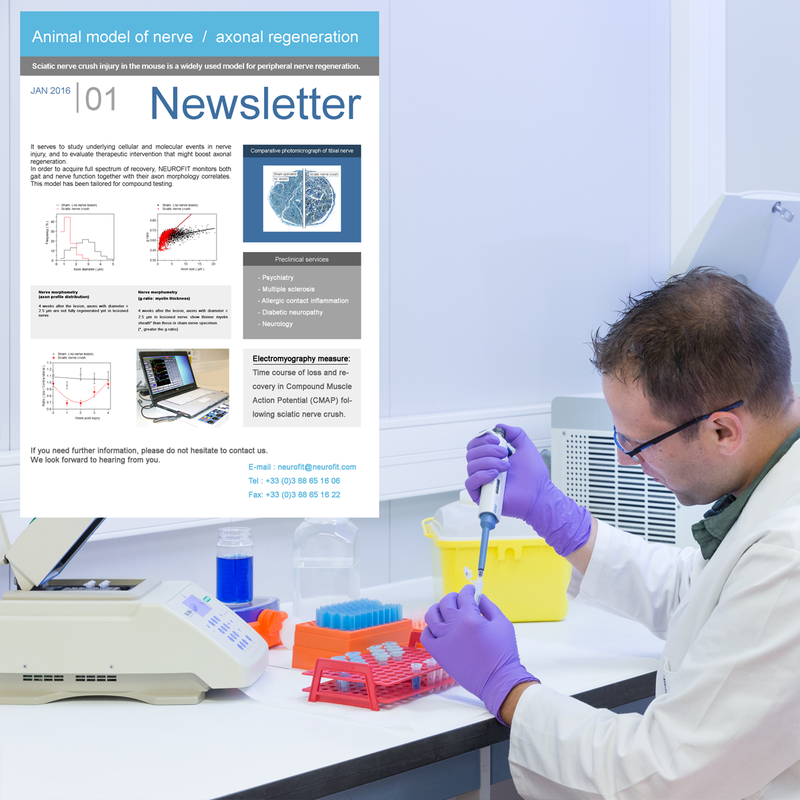 Drug delivery occurs quickly along both the olfactory and trigeminal neural pathways via an extracellular route. ■ It is already employed in various medical conditions or diseases. 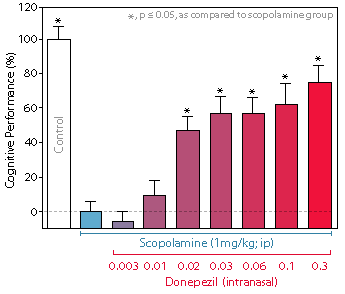 ■ Donepezil treatment through intranasal administration clearly reverses scopolamine-induced deficit with a marked dose-effect. ■ The results are reliable to the results previously obtained with Donepezil in oral administration. ■ Intranasal administration is a valuable alternative to ICV approach, acute or repeated, with or without pump.